Uber Online Lottery Scam -- You Just Won $1.5M!!!! 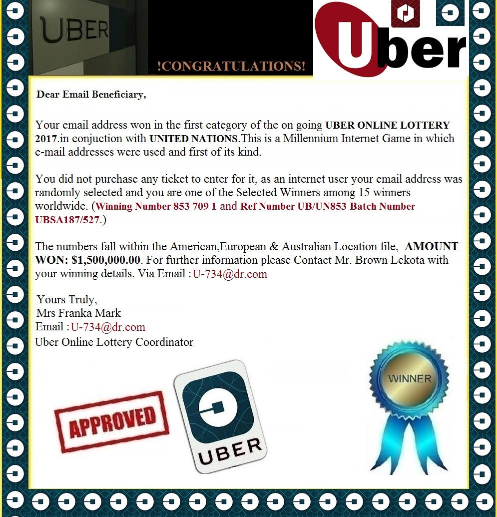 Uber Online Lottery Scam — You Just Won $1.5M!!!! The Uber Online Lottery scam is making its way across the nation, claiming recipients have one $1.5 million dollars. They just need your banking information to “deposit” the funds. Below is the image that will populate within the scam email. There is not any content that comes within the email, just this image. The scammers are also using a well-known company in an attempt to legitimize the “sweepstakes”. The email appears to be coming from an IP address that is located in South Africa. This scam is quite similar to the 419 Nigerian scams that also claimed you had unclaimed funds, and all they needed was your banking information in order to “deposit” them. If you receive this email, please do not be fooled. Delete it immediately. 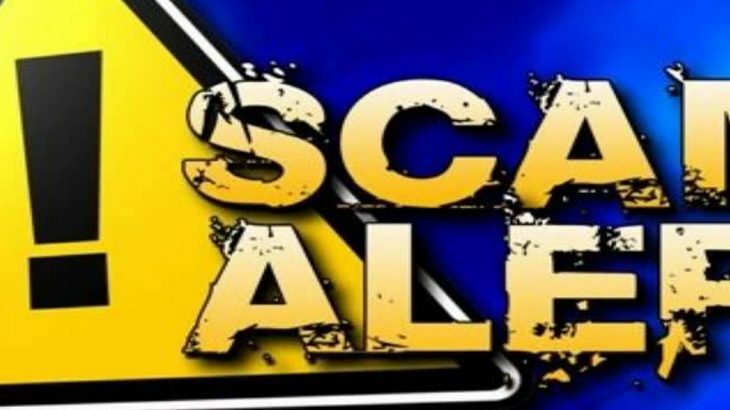 TechTalk Slider, tips email scam, lottery scam, Uber Online Lottery scam. permalink.